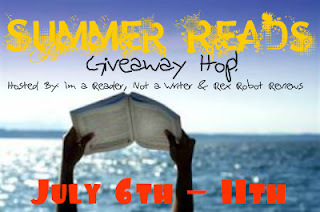 Welcome to my stop on the Summer Reads Giveaway Hop! This lovely hop is hosted by the illustrious Kathy @ I Am a Reader, Not a Writer & Julia @ Rex Robot Reviews! 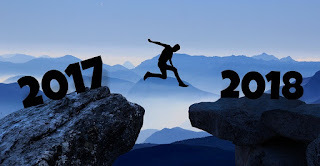 This time around, since it is the Summer Reads Giveaway, I've picked six different books that, I think, all have something to do with summer! Each of them is contemporary, and are all awesome reads. Once you've enter my giveaway, don't forget to hop to the others! I love the lazy days where I can just spend the whole day reading! I like waking up to warm mornings. Laying in the beach with a book. Well my favorite part of THIS summer because I took a class in May and then I'm taking a June/July semester. My favorite part is a the break! Haha, in total I'll have about 3 weeks worth of real summer break and I'm going to read, sleep, eat. That's it :). Favorite thing about summer would be lounging the whole day by the beach with a pina colada and a good book....heaven! The extra time that I get with my girls because I am not running them all over the place with school, etc! My favorite part of summer is definitely the weather. Thanks so much for the giveaway! My favorite part of summer is traveling - usually to New Hampshire to visit my in-laws. :) Thanks for the giveaway! My favorite part of summer is being able to sleep in and read more since I don't have classes. I enjoy the summer concerts! My favorite part of summer is having endless relaxation. I have plenty of time to read. Thank you for the giveaway. Lately my favorite part has been going swimming! when it's over ;) i'm a winter fan. The vast amount of time I have to read and blog! Thanks for the giveaway! There's a better choice of fruit in the summer. The beach, slower pace, & quiet read-a-thons! I love swimming with the family! I enjoy the sunshine with my kids! No school and all the free time to read books I actually like and not those I have to. I love the nice nights to talk walks in summer! I also love more reading time thank you for the great giveaway! I like going to the beach and reading! My granddaughter being out of school as I get to spend more time with her. I love to sit on the porch with a good book and a big glass of cold lemonade. My favourite part of summer is going to the beach and swimming or just catching up on all my reading.